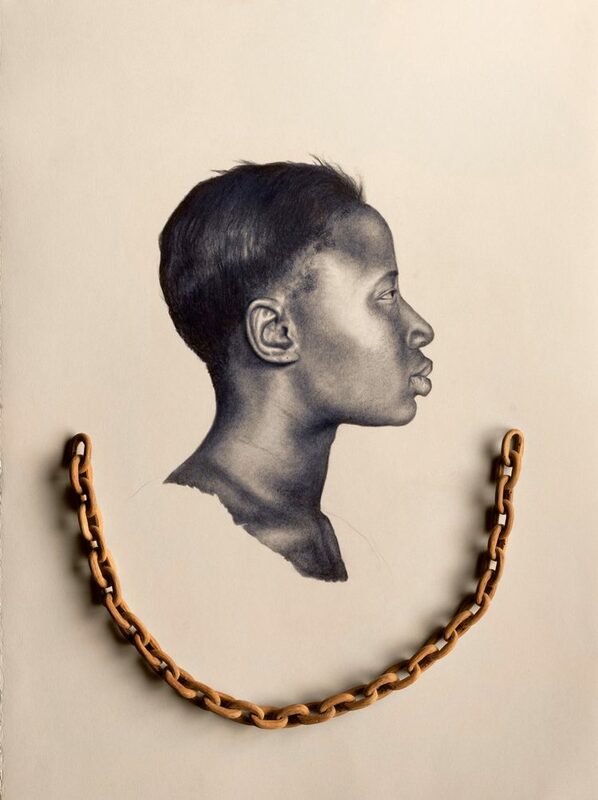 With the provocative subtitle for this Kin and the symbolism of the chain cradling the female face, Whitfield Lovell explores the sense of alienation of the ordinary individual while also challenging assumptions about what it means to be accepted in society. Lovell chose to depict this woman because she immediately felt like someone he knew, reminding him of an older relative. “Nobody” is also the title of a 1905 song written by Bert Williams and Alex Rogers that was later performed by Nina Simone, one of the artist’s favorite singers. who soothes my thumpin’ bumpin’ brain? I ain’t never got nothin’ from nobody, no time! I don’t intend to do nothin’ for nobody, no time! who hands to me a glowin’ kiss?